Learn the advantages of creating your own social selling content, and why getting started is easier than you think. Effective content sharing is a critical skill for social sellers. Getting the right content to the right person at the right time with a relevant, personal touch is what separates the savvy content curators and sharers from the rest of the pack. But effective as it is, sharing still plays second fiddle to another sales content tactic: actually creating it. Granted, there is a massive difference between the social sellers who blast the “share” button at random and those who take the time to share strategically, with thoughtful insight. And for the latter, a sales strategy soaked in sharing can work just fine. But even the savvy sharers can make themselves glow in the eyes of industry buyers by creating and publishing their own thoughts on a topic that matters to the audience. If you’re a regular reader of this blog, you know we regularly advise the “resume to reputation” strategy as it relates to a sales professional’s LinkedIn profile. What this means is that the goal of your LinkedIn profile is to establish a positive impression on prospects and customers instead of recruiters because your LinkedIn profile is often the first place your prospects will go to “scope you out”. You can post your best content on your profile so it’s in plain sight for all future prospects to see and interact with. And imagine being able to tell a prospect, “That’s a common problem in our industry. I’m going to share an article I wrote that was published on…” Even if your prospect doesn’t read your content, just saying this tells potential buyers you are an expert who knows your stuff. It screams credibility. Plus, creating your own content increases your visibility on the search and the social web. By creating content, you’re essentially creating permanent pathways for buyers to come to you. How’s that for efficient prospecting? Fear is often the primary factor that prevents social sellers from trying to stand out. The thought of publishing attributable thoughts in a place as permanent as the internet can make any first-timer nervous. But the thing about publishing is you don’t have to do it unless you are absolutely thrilled with the end result. Most sales pros aren’t writers, yet most know at least one writer who can help them edit their work. Almost all of us have access to marketing departments that are more than willing to help if it means increased content creation and ultimately, lead generation. And who says you have to write? Presentation platforms like SlideShare allow you to share your thoughts visually by simply importing a PowerPoint deck. 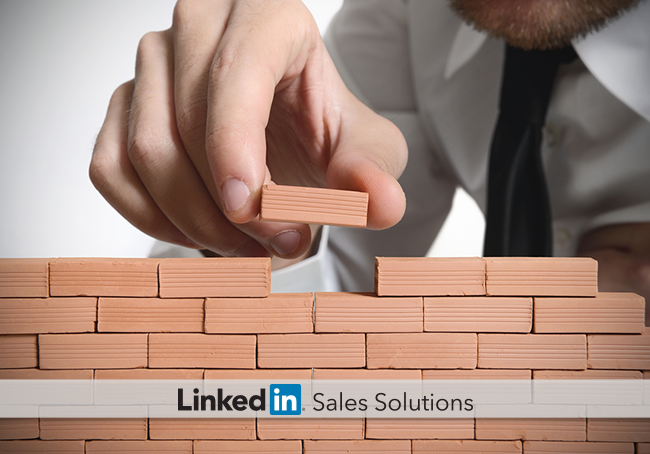 You probably have access to several sales decks to use as a starting point for your own social selling content. Just know that – like any new project – your first time creating content will probably be the hardest. But once you experience the confidence shift and boost in credibility – and ultimately, additional revenue – that comes with being among the elite group of sales pros in your industry who actually publish expert insight, you will be sprinting to the publish line time and again. And after you’ve published, tools like LinkedIn's Sales Navigator can help you identify the highly targeted prospects you want to engage with your personal content.